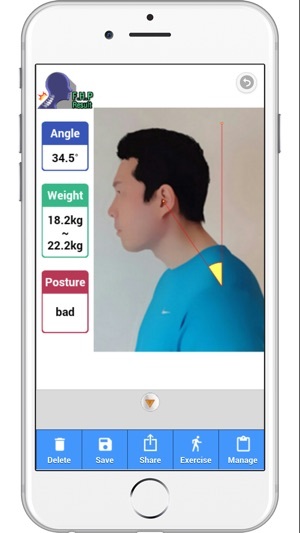 This application ① helps you check your neck posture by measuring the degree of your cervical spine based on the side view of your upper body and ② provides corresponding exercises to improve your neck posture. 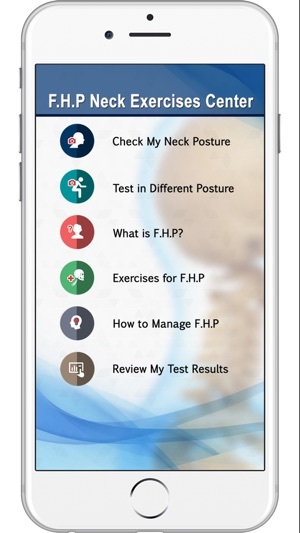 F.H.P Neck Exercises Center is the application that informs you of your neck posture by measuring the degree of your neck based on the picture of your current posture. 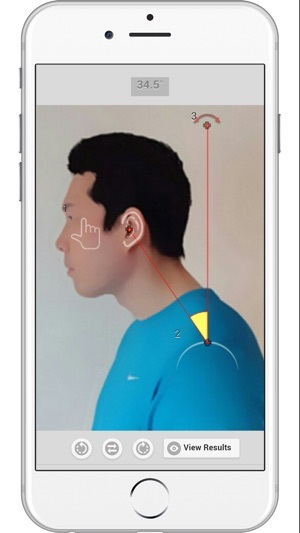 Also, this application tells you what is Forward Head Posture(Straight Neck Syndrome) and how to maintain and improve your postures in daily life. 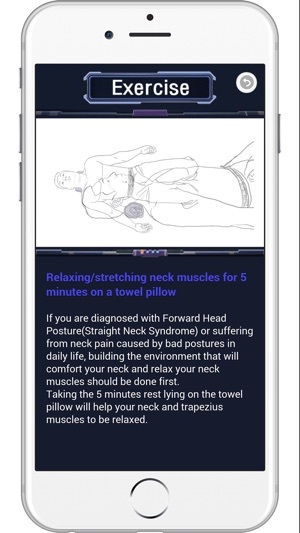 Self Exercises for Forward Head Posture along with the stretching exercises to relax and soften your neck muscles are included, and new exercises will be continuously updated. 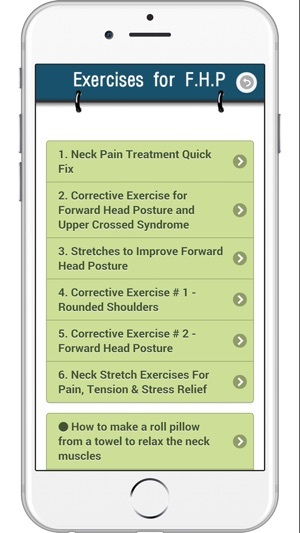 Improve your neck condition NOW by downloading "Forward Head Posture Neck Exercises Center!" The button was hiding under the picture after taking a picture. © 2015 Soon Jik Yang.